Correction: The Dodo apologizes to the ACC for several inaccuracies that appeared in a previous version of this article. 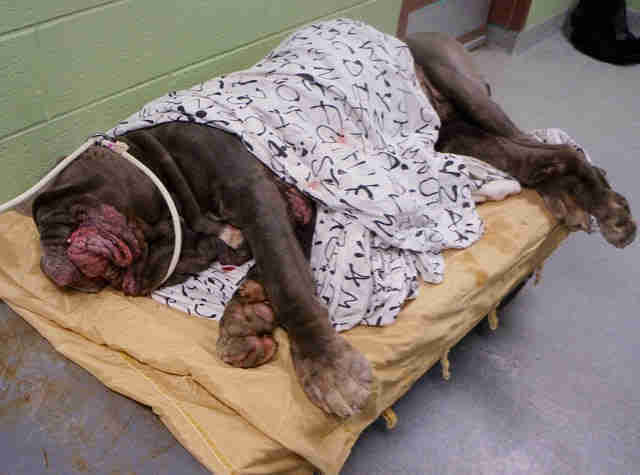 Loki was not put on a euthanasia list due to his size or appearance, and his medical conditions were not ignored. Rather, he was properly treated for his medical conditions and also received plenty of attention and care from the shelter's caretakers. In addition, Loki was not shot with a dart by officials from the ACC when he was picked up, but rather by the NYPD. And the ACC reached out to Rescue Dogs Rock first. The Dodo regrets the errors. 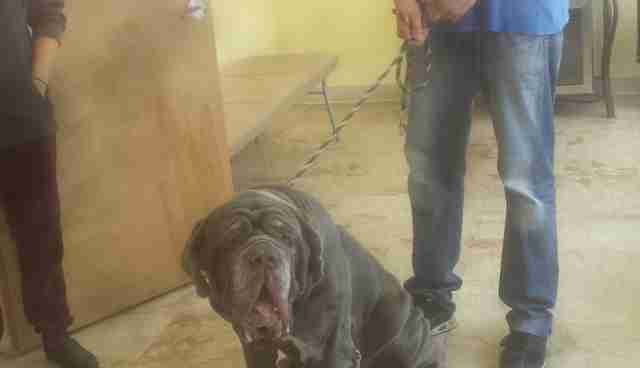 Earlier this month, Loki, an 8-year-old Neapolitan mastiff, ended up at the Manhattan Animal Care Center (ACC). Loki is an extremely large dog, weighing in at 170 pounds. After arriving at the ACC, it was discovered that Loki had heartworms and other health issues. He was quickly put on a number of medications so that he'd get better as soon as possible. Meanwhile shelter workers were doing everything they could do make him comfortable: giving him lots of food, love and hugs. 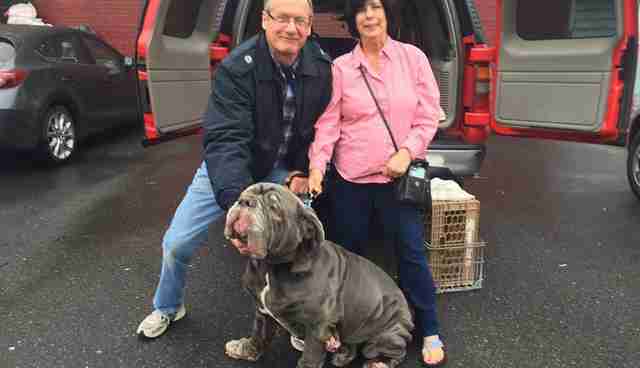 The ACC knew what an amazing dog he was, so they reached out to Rescue Dogs Rock NYC. 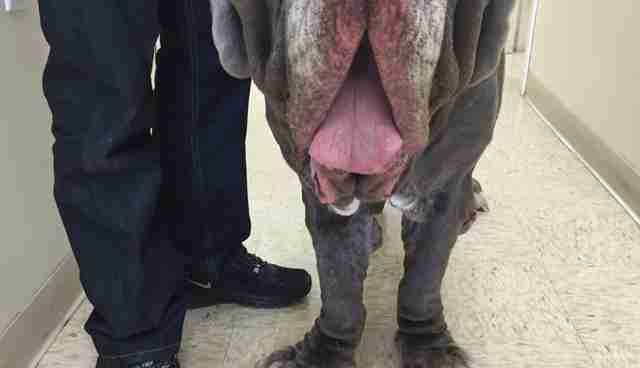 "At first, upon meeting him, he is quite intimidating due to his size, and you can see he's emaciated and should be at least an additional 50 pounds," Stacey Silverstein, of Rescue Dogs Rock NYC, told The Dodo. "Honestly I was a little intimidated myself but quickly he won me over." And she wasn't the only one. Everyone who came into contact with Loki quickly fell in love, and, soon enough, everyone was fighting for his attention. 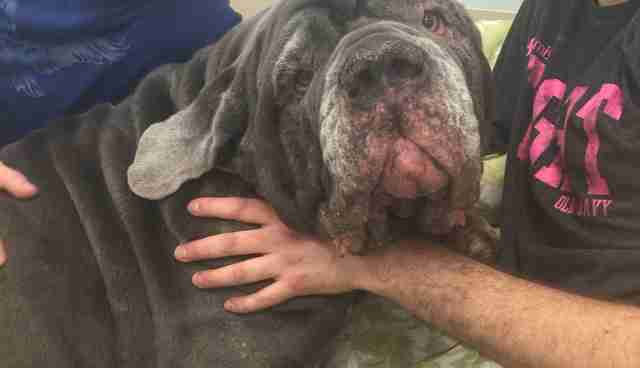 "He's just a huge baby who loves hugs, belly rubs and to be petted," Silverstein said. On Monday, Loki's new family finally arrived to pick him up. It was love at first sight, and that's exactly what Loki deserves.